John Wardle Architects’ winning design for the Australian Tapestry Workshop’s inaugural Tapestry Design Prize for Architects was produced for the new Phoenix Gallery in Sydney. The design, entitled Perspectives on a Flat Surface, was awarded joint first prize in 2015, along with a design by Kristin Green (director of KGA Architecture) with Michelle Hamer entitled Long Term Parking. 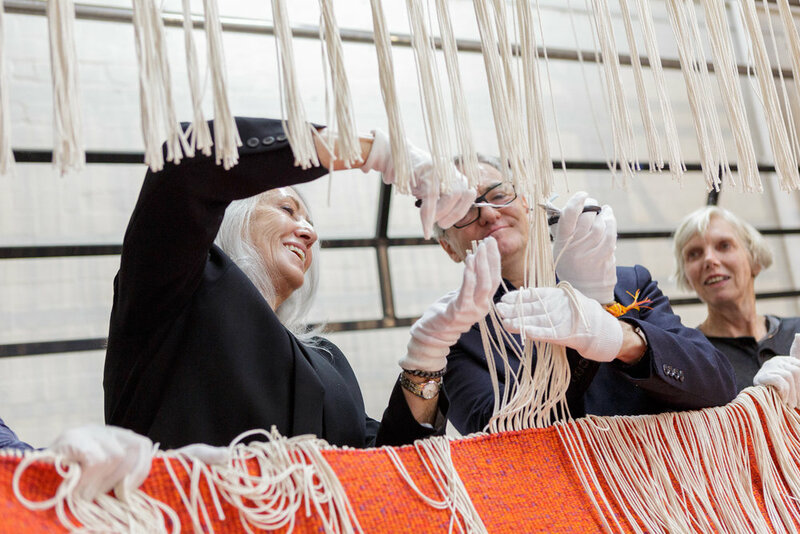 Following the competition in 2015, John Wardle Architects, on behalf of the Australian Tapestry Workshop, approached arts philanthropist Judith Neilson AM for a donation to help fund the making of the tapestry. The practice is currently designing a new art gallery, performance space and garden for Neilson with Durbach Block Jaggers, artist Janet Laurence and timber craftsman Khai Liew. “We approached Judith thinking that she may wish to donate some money towards it,” said John Wardle. “She decided to fund the whole thing, which is an extraordinary act of generosity.” The tapestry design plays on the relationship between architectural interior as an enclosure and tapestry as a surface. The tapestry references Renaissance architect Andrea Palladio’s Teatro Olimpico (Olympic Theatre) in Vicenza, Italy with its set design by Vincenzo Scamozzi. The sets feature exaggerated perspectives of long streets receding into the horizon. “What we did was we inverted that. We created an imaginary object – a structure that actually projects towards the audience to create new picture planes and a sense of advanced perspective and then rendered the effects of light and view within this imaginary object,” Wardle explained. 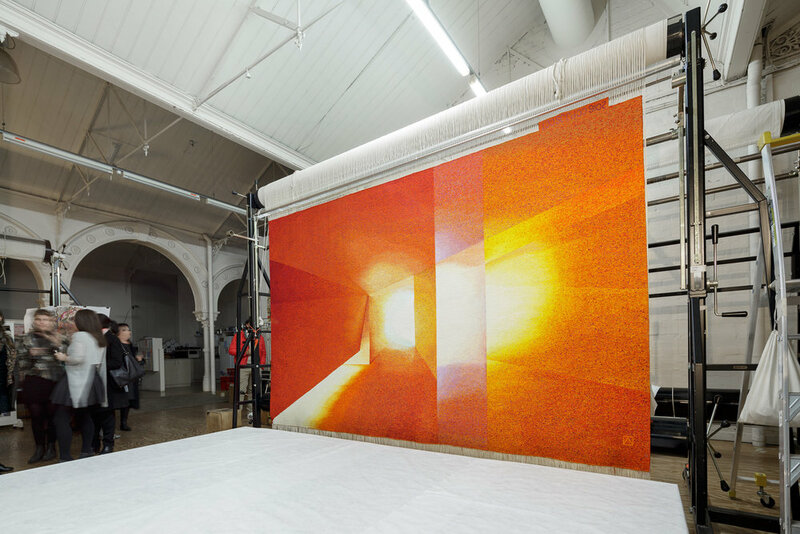 The tapestry was designed to be site specific, to be hypothetically hung in the new Australian Pavilion in Venice design by Denton Corker Marshall. “You can see [there’s] a slight bluey-ness about it that suggests the position of the pavilion on the edge of the canal,” Wardle said. Text by Linda Cheng, published in Architecture AU, 22.06.16. John Wardle established his architectural practice in Melbourne in 1986. His practice includes working on small domestic dwellings to university buildings, museums and large commercial offices. The architecture of John Wardle Architects (JWA) is closely tailored to its place and highly experiential in nature. In 2001 he completed a Master of Architecture at RMIT University, and he is an Adjunct Professor at the School of Art, Architecture and Design, University of South Australia. Wardle has formed strong links with both artists and public art galleries and, as a practicing architect and board member of both the Anne & Gordon Samstag Museum of Art and the Ian Potter Museum of Art, has contributed to important public art programs.